T.M. Lions are having a Halloween party for kids (and big kids..!) 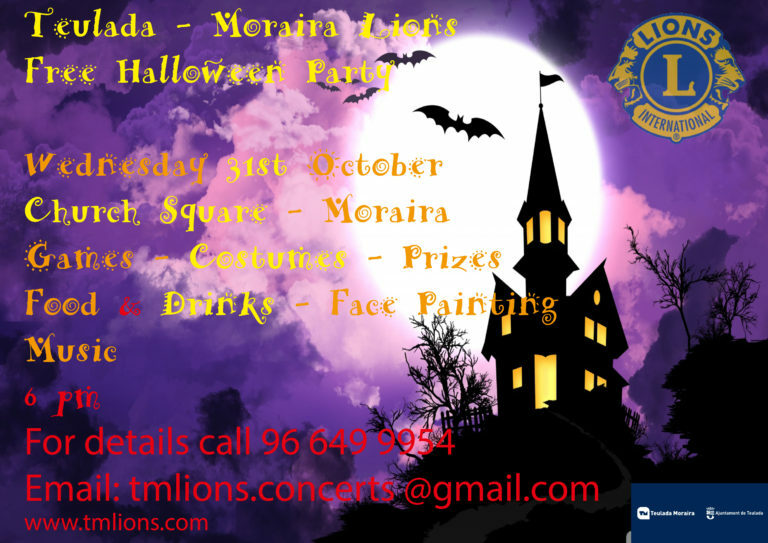 in Moraira Church Square on the 31st October – and best of all, it’s free! We’ll be there (yes in fancy dress!) to enjoy the facepainting, games and prizes. See you there!